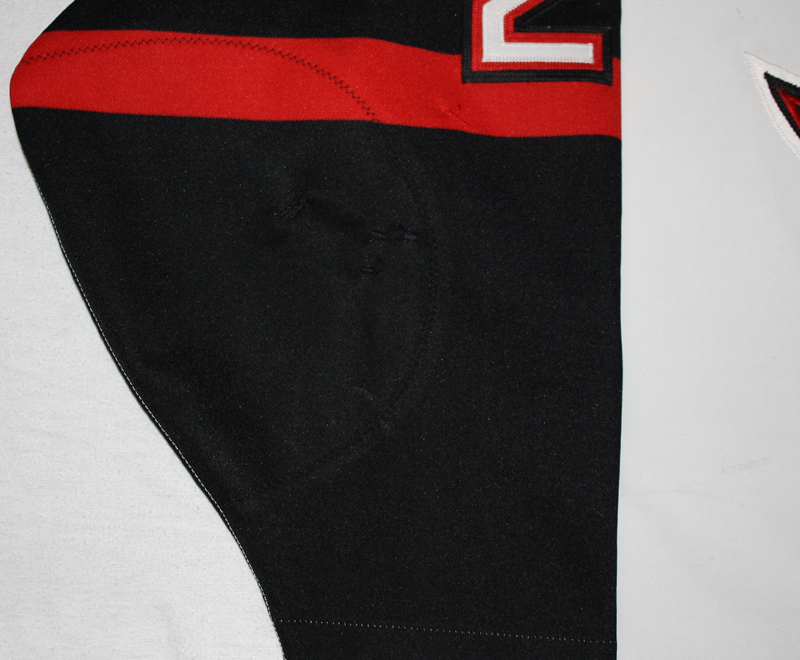 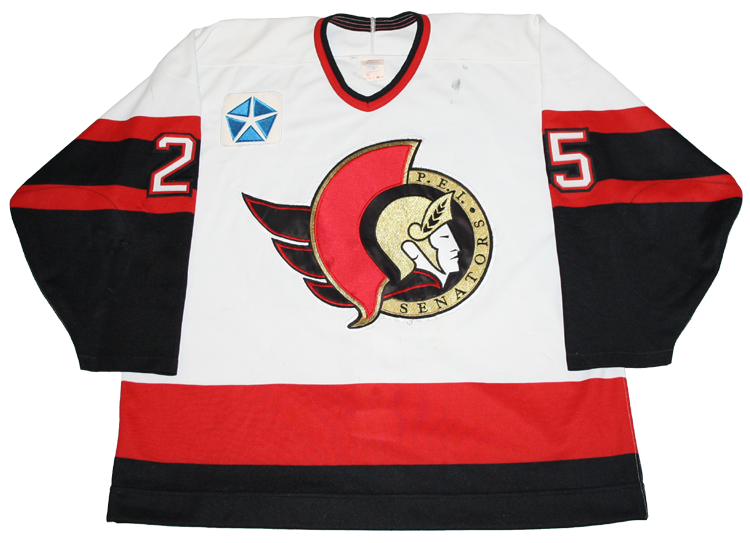 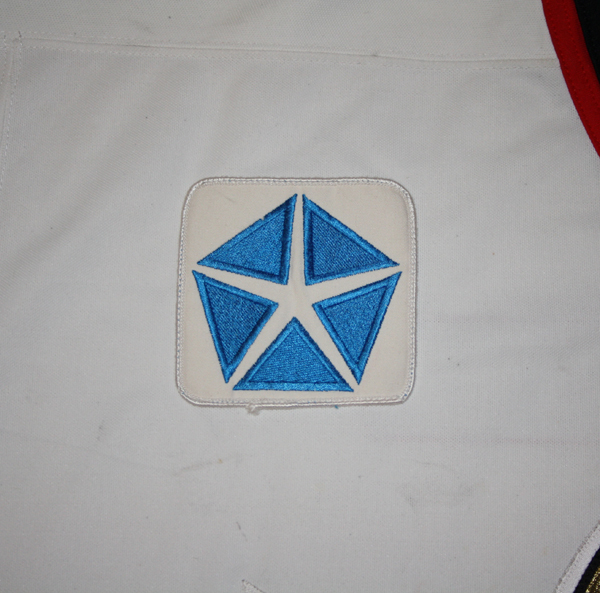 This jersey was worn by Tomas Jelinek of the P.E.I. 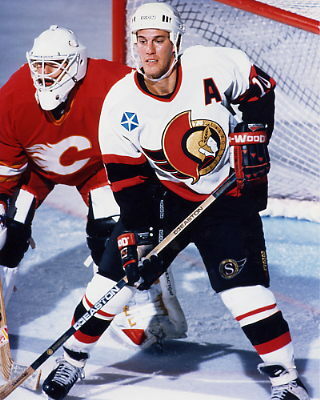 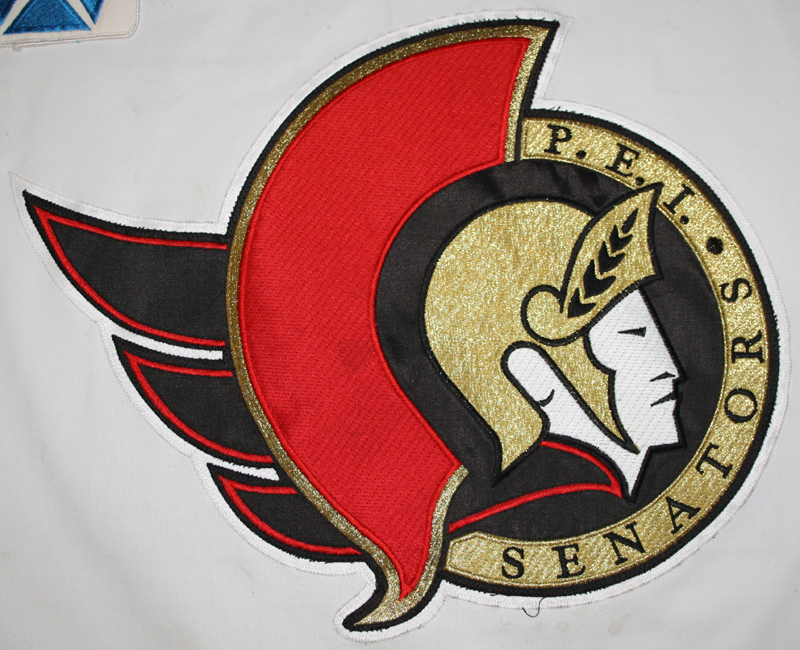 Senators during the 1993-94 season, the team's inaugural season. 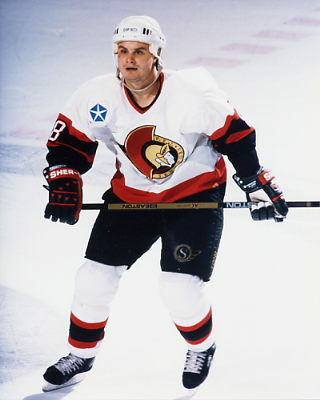 Jelinek played just 2 games for PEI before leaving the team and returning to Europe. 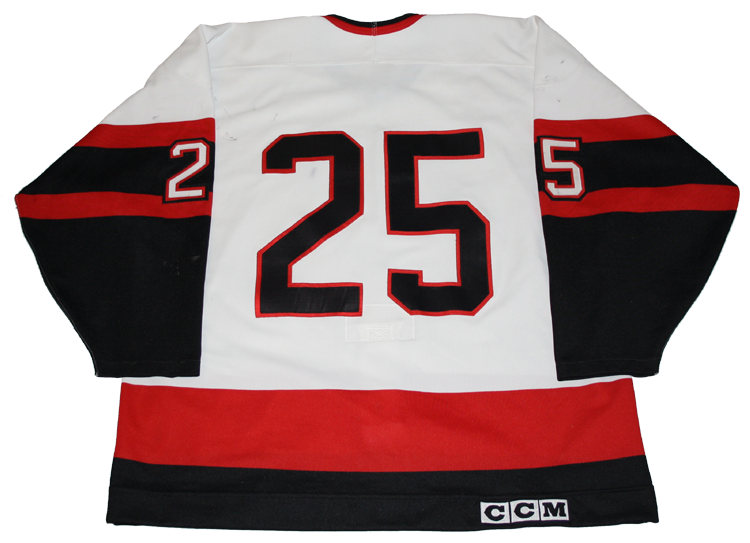 Judging by the amount of wear shown on the jersey, it was likely recycled and worn by another player after Jelinek left the team.